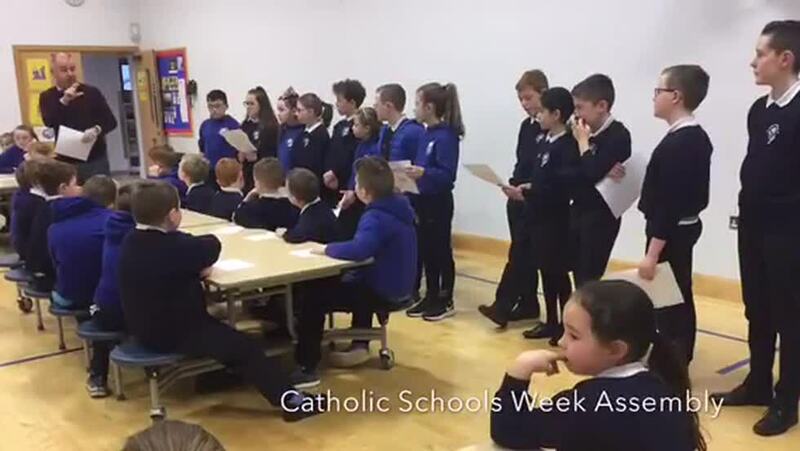 This week pupils and teachers have celebrated Catholic Schools Week. Pupils have focused on praying for others, reflecting on how important our school is in developing their faith. Mr Woods delivered a whole school assembly, supported by the Student Council, on the importance prayer has for us all. Pupils have been working hard in class across the week and P4-P6 are attending a special Mass on Friday to celebrate St Brigid, with the P7 pupils attending Stations of the Cross in Faughart.